18 carats yellow gold starfish nose piercing. 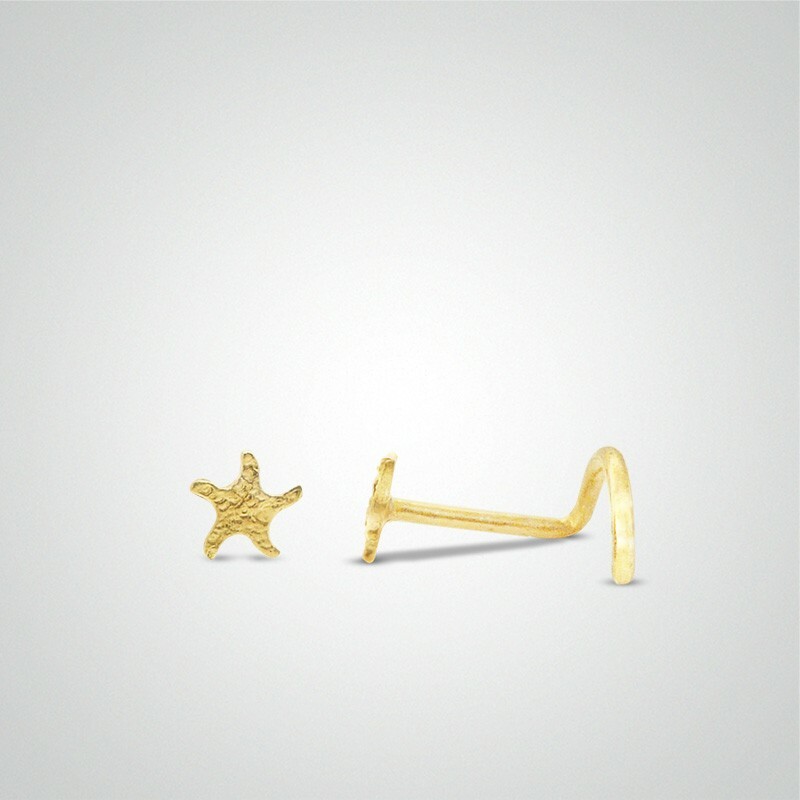 18 carats yellow gold nose starfish piercing. This starfish nose stud piercing comes with a certificate of authenticity. A member of the EZOR team will answer you within 24 hours (This applies to working days). All transactions are encrypted via SSL technology direct to the Credit Mutuel, Citelis or Paypal bank servers. EZOR has no access whatever to your bank details. Once your order has been validated on the EZOR website you will be redirected to the CITELIS/PAYLINE on the CREDIT MUTUEL DE BRETAGNE server, in order to pay for your order. This server is protected by SSL encryptage. You will be requested to give your bank card number. Once you have been transferred to the Crédit Mutuel secure server you will be asked for your credit card details. Once the payment is validated you will be redirected to the EZOR order confirmation page or if the payment is not validated you will be redirected to your basket order page. Authorized cards : Visa, Mastercard, Carte Bleue, e-Carte Bleue. Once your order has been validated on the EZOR website you will be redirected to the PAYPAL platform which is part of our website server. This server is protected by SSL encryptage. You will be requested to give your bank card number. Do a one-off payment by using your credit card, without creating an account. Once your payment is validated you will access the EZOR order confirmation page. If the payment validation fails you will be requested to enter the details of a valid credit card. Authorized cards : Visa, Mastercard, Carte Bleue, e-Carte Bleue, American Express, Discover Network. When paying by bank to bank transfer the client must make the necessary arrangements with his or her bank or agency so that we receive on our account the total sum due. Articles ordered are reserved for four working days after an order is validated and cannot be sold otherwise. Upon expiry of the four working days the order is automatically cancelled and the articles become available again on our website.